SIP-T54S, T52S, T48G, T48S, T46G, T46S, T42S, T41S, T29G, T27G. 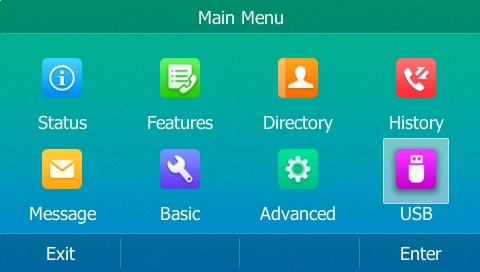 Note: this feature cannot be enabled via the web user interface or via the phone directly. It can only be done by a provisioning parameter. 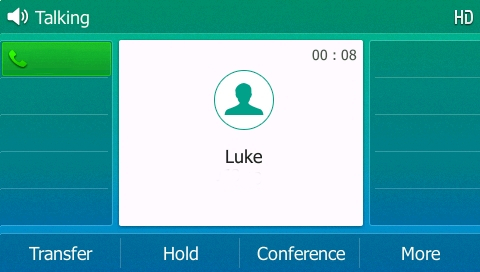 If you are having your Yealink devices provisioned by ourselves and would like to use this feature just drop us an email and we can apply this to your template. To upload the config file login to the web user interface of the phone and go to “Settings” > “Configuration” > Select the “Choose File” button next to “Import CFG Configuration File” and select the file on your PC > After selecting the file press the “Import” button for it to upload. After the file has been uploaded the setting will be enabled. 2) To use the feature during a call you will now notice a “More” soft-key appears. 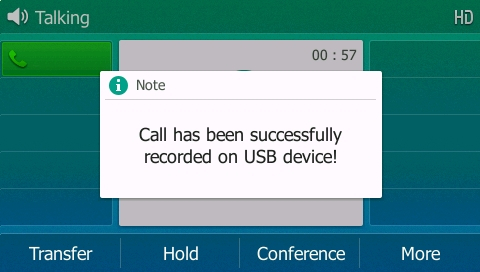 If you press this, you will get the option to start recording the call. 3) Press the “Start REC” button then you will have the option to pause or stop the recording. 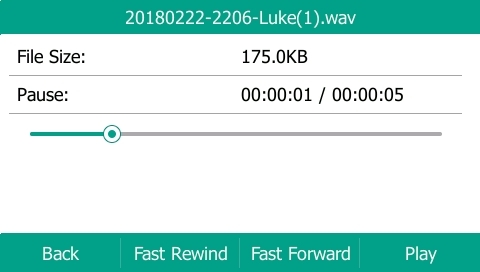 If you pause the recording you will have the option to start again or stop. 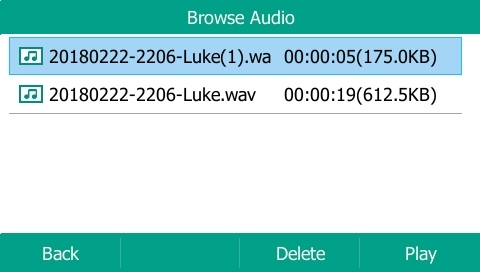 4) If you press the stop option you will see a notification saying the recording has successfully been saved. 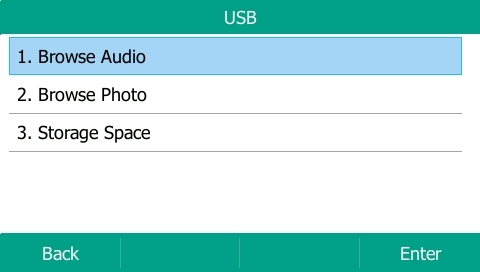 5) To listen to the recording either disconnect the USB and connect it to a computer or alternatively press the “Menu” button whilst the phone is not on a call and press enter on the “USB” option. 8) The recording will then automatically start playing. You can pause, rewind and fast forward the recording.